My husband, Matt, grew up eating these chocolate oatmeal cookies almost everyday. My mother-in-law, Paula, would make these cookies for Matt as an after-school snack and before every sports game he played. Paula was famous for her cookies! All the neighborhood kids knew it, and would come over to her house, begging her to make them. They’re nicknamed “dawg” cookies… but I don’t know why! 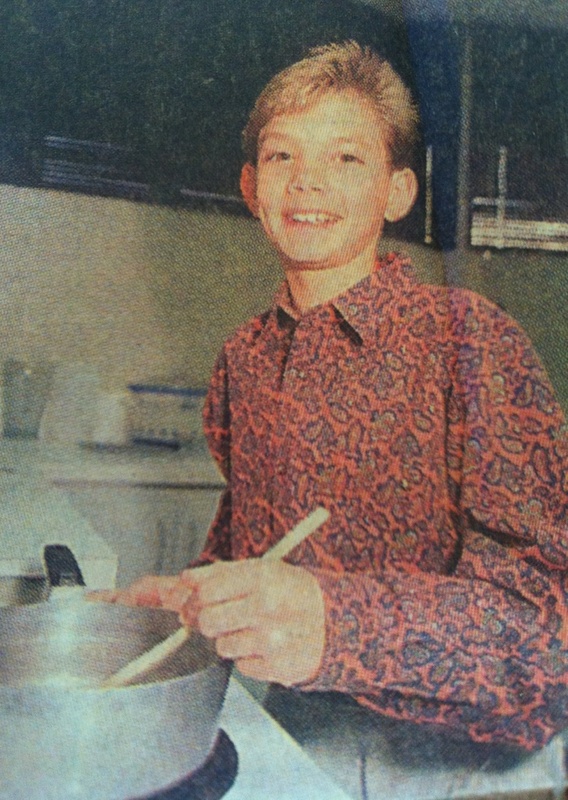 By the time Matt was in 7th grade, he had mastered his mom’s chocolate oatmeal cookies. 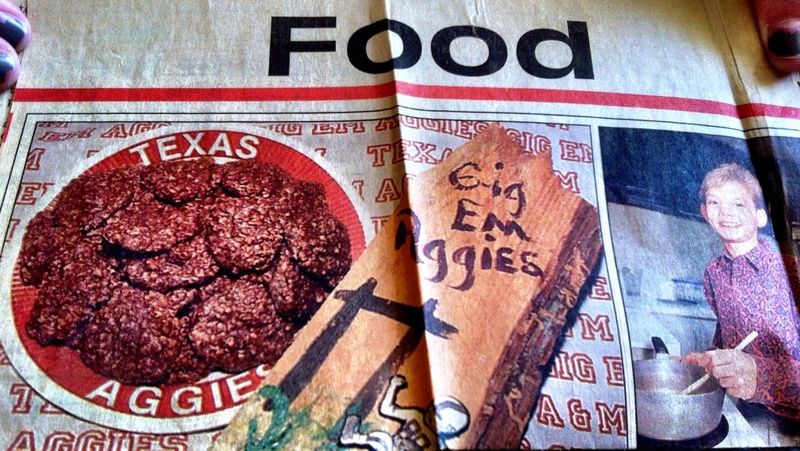 He even won a cooking contest for them, as seen here in this early 1990s article from The Longview Times. Wasn’t he cute??? Haha. Even though Matt is all grown-up, he still can’t get enough of his mom’s cookies. Okay, maybe not everyday as an afternoon snack, but it’s probably every time we go over to visit Paula that she whips up a batch for us. It took me about 5 tries to finally get these cookies “they way mom makes them”, according to Matt. I think my problem was that I used rolled oats instead of instant oats…it sure makes a difference! Finally, did I mention that Matt eats these from the pan itself? Nope, he doesn’t wait for them to cook; he eats them like chocolate pudding. Crazy, right? Talk about lots of cookie batter! What’s the only thing Matt wants from his parents when they’re gone? (Which is hopefully not for a super long time.) Nope, not money. Not stocks. Not fine jewelry… just his mom’s chocolate oatmeal cookie “pan”. Bring to a boil sugar, water, and cocoa powder on stovetop until soft ball stage. Paula and Matt know when they reach the soft ball stage by dropping bit of the mixture into water to see if a tiny ball forms. Off the heat and stir in the butter. Then add the oatmeal,and vanilla. Stir until melted and combined. …or drop onto wax paper and let cool (the way I like them). 1. Boil sugar, water, and cocoa until the mixture reaches a soft ball stage. 2. Remove pan from heat and add butter, peanut butter, oatmeal, and vanilla. 3. Stir together until melted and combined. 4. Eat from pan or drop onto wax paper. Yield: 1 full serving for a 7th grader…or about 2-3 dozen cookies.